Necessity is the mother of invention. Well, not really “necessity”, but a strong desire to warm up after these die-hard surfers hit the cold New England waters. 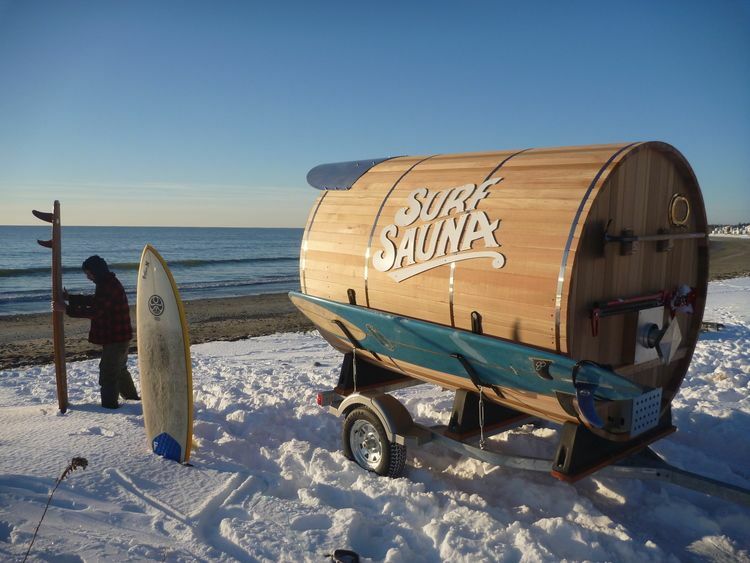 The Surf Sauna is a mobile sauna that is custom built out of Western Red Cedar, a naturally rot resistant and antimicrobial wood. It can accommodate 2 to 8 people, and some of the optional features you can get include an off-road kit, changing tent and shower, and Bluetooth wireless speakers. Wow, what a treat after a cold day out, whether you’re a surfer or not!